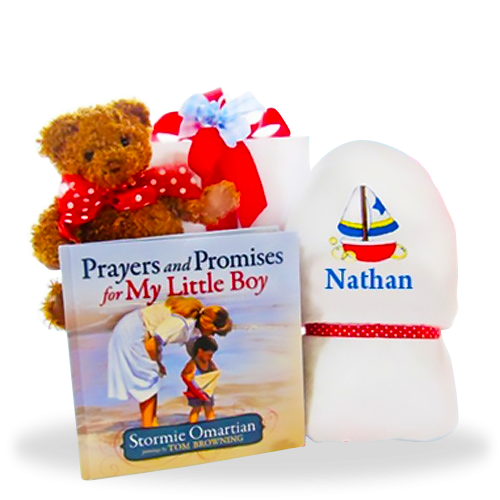 This thoughtful gift set centers on the beautiful book "Prayers and Promises for My Little Boy". 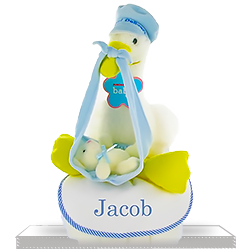 It's truly a special keepsake for mom and dad. 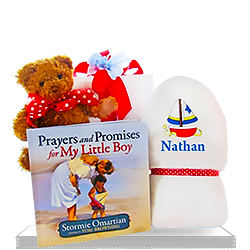 It will surely be a favorite read for the little one as he grows. 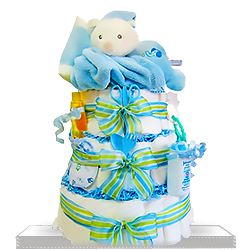 Included also is a personalized hooded bath towel and a 12 inch cuddly Teddy Bear with a red bow around his neck. 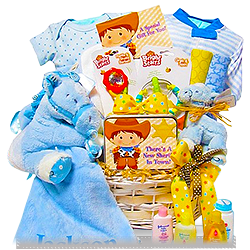 This thoughtful delivery is giftboxed. 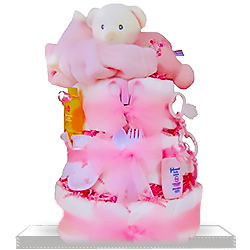 I knew from the description in the details that it is small so I got exactly what expected. 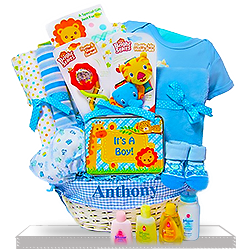 All the items they put in the basket are made from the safe and high quality materials (this is important when you buy something for a baby). 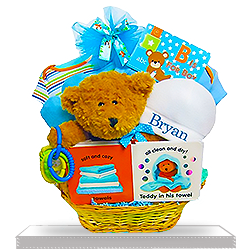 The basket is nicely presented as a gift for any little boy.